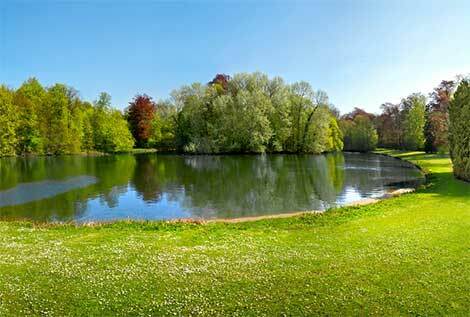 Pond Dyes are no longer perceived as singularly decorative or unimportant to maintaining a healthy pond. Adding pond dye to your pond maintenance regimen is a great way to keep your pond looking great all year long. Pond Dye will shade your pond the unique color of your choosing, whether it is a deep blue tint or a natural mirror-like reflective surface. Go Bold: Still the most widely used, Nature's Blue™ dye is the ideal color for large ponds as it contrasts perfectly with lush green landscaping. 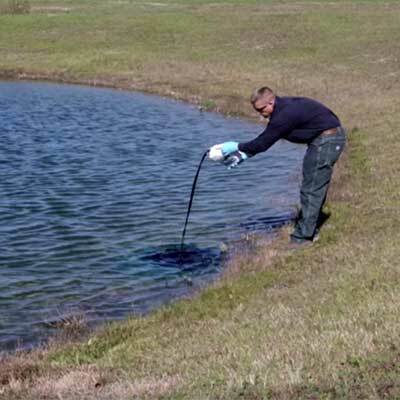 Blend the Landscape: If you don't like the color blue or if your pond is in a wooded area try Black DyeMond™. This option can turn brown or gray water into a beautiful display. It creates a mirrored surface that reflects surrounding trees and natural rocky landscapes, making it perfect for natural ponds in wooded areas. A Hint of Color: So you wanted the best of both worlds? Now you can have it. Airmax created a dye that will add a little blue in your pond, but won't create a bold contrast with the surrounding landscape. Pond owners can achieve ample color while also creating an attractive rich look with Twilight Blue™. 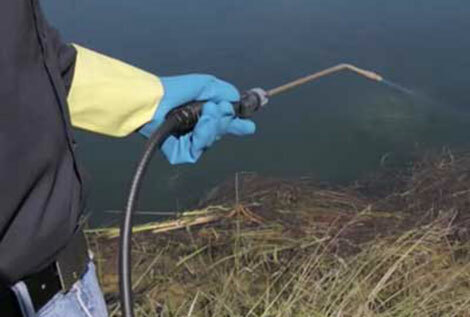 Liquid Dye: Simply pour along the shoreline with protective gloves in several spots to treat up to 1 acre. No mixing required. Pond Dye Plus Bacteria: Give your pond a one-two punch with this combination of pond dye and PondClear™ liquid bacteria. Great for ponds with a lot of suspended debris or for use after an algaecide/herbicide treatment. Be sure to wear gloves and work clothes when adding dye to your pond. Once mixed with the water in your pond, pond dye is completely safe for agriculture and irrigation purposes. If you are worried about the dye coloring your skin when you swim, don't. After 24 hours of being applied to the pond, the dye will not stain. 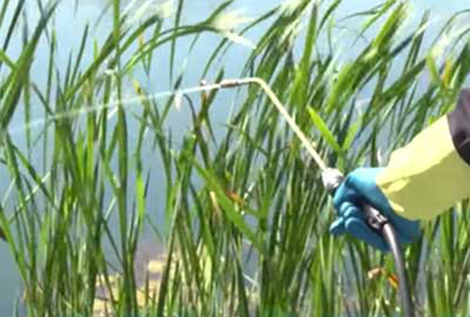 It's safe for use in swimming ponds, as well as watering horses, livestock, birds, pets, fish and wildlife. Pond dye is just one step in managing a balanced ecosystem in your pond. 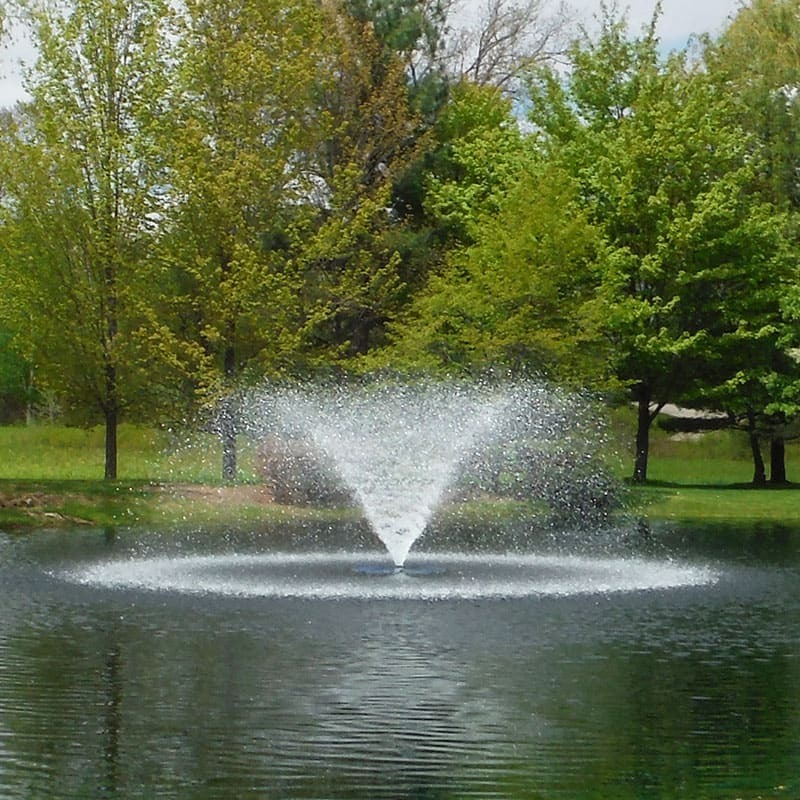 Be Proactive with pond management through the use of aeration and natural bacteria treatments. 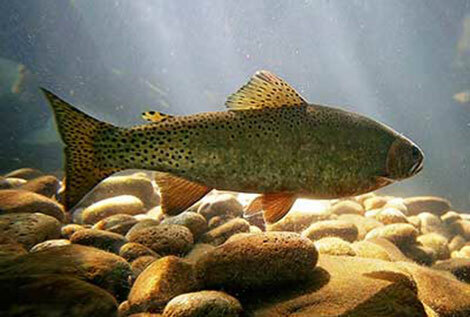 For more information on proactive pond management view Pond & Lake 101.